They have independence from carrying water from far-off sources due to a new bore well. They are free of living in the dark 12 hours a day due to lack of electricity. Many have been liberated from being illiterate and school dropouts. These achievements are only a few of many. 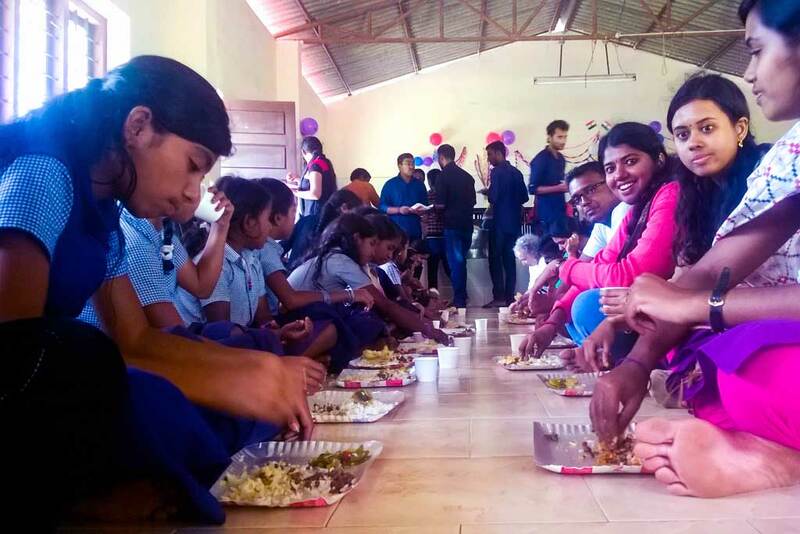 On August 13th, M.Tech students and faculty from Amrita University’s Electrical Engineering Department came to study the micro hydroelectric system that some of them had helped to design and build. And, of course, the team couldn’t help but celebrate Independence Day with the children. Together, they decorated the community centre with balloons and streamers. They spent the day playing games, singing and dancing, talking and joking, and eating a meal together that the students had organised. 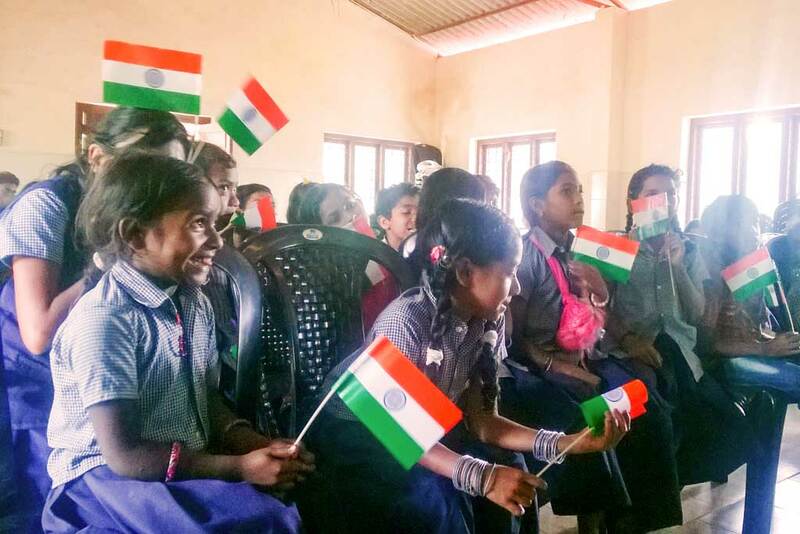 Late in the afternoon, the students distributed the flag of India to all the children and discussed the meaning of the elements of the flag. They asked the children about their future careers and the children confidently listed a variety of professions. Finally, everyone sang the national anthem together and waved the flag high with great joy. Sweets and gifts were distributed. The children and villagers thanked the students and waved them on their way. This was a real celebration of India’s strength and independence and the big strides this village is making as it finds its own strength and independence.